With much to see and do in Buenos Aires and its surrounding areas, the need for good local, regional and national transportation networks is great. 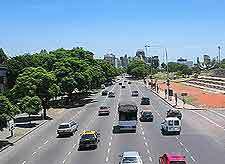 Fortunately, the city delivers in all three areas and visitors will find both getting to the city of Buenos Aires and travelling around it is relatively stress free. Domestic transport is cheap as a rule, so travel is within the means of all visitors. Of course, for extra convenience, a hire car is the best travel option. 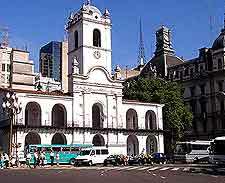 If you don't want to self-drive in Buenos Aires, then the public bus transport, trains and taxis are easy to negotiate. 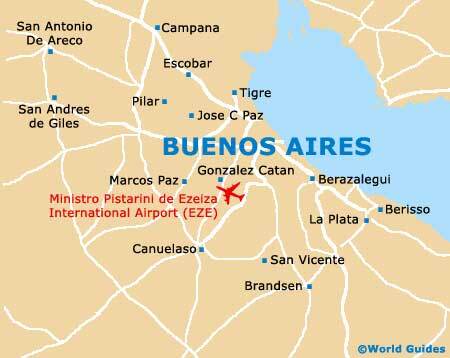 The country's largest airport and its chief international gateway is Ministro Pistarini de Ezeiza International Airport. 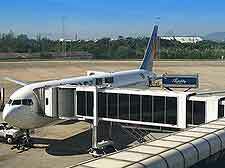 The airport has three terminals and facilitates air travel for a large number of airlines, though a significant volume of the flights into and out of the airport are operated by the national carrier Aerolineas Argentinas. The terminal buildings are equipped with modern facilities, including ATMs, currency exchange counters, shops and restaurants. Bus and taxi transport is available for the journey from the airport to the city. 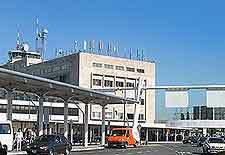 Alamo, Avis, Hertz and Localiza have desks in the Arrivals area of Terminal A at Ministro Pistarini de Ezeiza International Airport. In the city, Alamo, Avis, Dollar, Hertz and Thrifty are represented, as well as a number of smaller, independent firms. Long-distance bus transport travels from most major Argentine cities into Buenos Aires, terminating at the Estacion Terminal de Omnibus on the northern edge of the city. There are also some services from neighbouring countries. The local public bus network is extensive and its services operate 24 hours. Fares can be paid onboard via a coin-operated ticket machine. 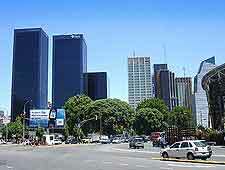 Cross-country rail services link the city of Buenos Aires with most major cities throughout Argentina. However, the various routes are operated by different companies and so it can sometimes be difficult for foreigners to figure out their route. The city's local rail network has lines running from the centre out to suburban areas and is a cheap and speedy way of travelling around the area. Taxis are widely available and can be either flagged down in the street or booked ahead by telephone. Fares are generally inexpensive, but be sure to use legitimate cabs only, as unscrupulous characters operating unlicensed taxis may well overcharge you.